Hello friends! 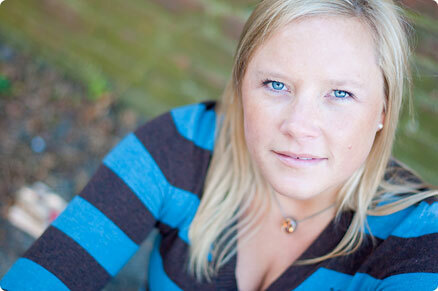 I am so excited introduce our July guest designer, Jenn Shurkus! I am such a fan of her work and thrilled she will be creating projects for us throughout the month! And now for her card! Hello Everyone, It's Jenn here and I am wicked excited to be guest designing here at Neat and Tangled throughout the month of July. I was so excited when Danielle emailed and asked me. I have a lot of favorite stamps from Neat and Tangled, but today I wanted to focus on one of my new faves and that is the "Clouds" set. I recently dug out my Twinkling H2O's again and have remembered how much I enjoy playing with them. 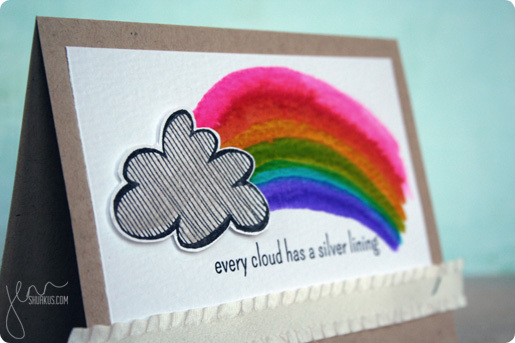 For this card I stamped and painted in the cloud with "heavenly" H2O, then cut it out. I lightly traced it onto a sheet of Distress Watercolor paper with a pencil. I then removed the cloud and started to paint in my rainbow. I let the colors blend a bit, but I also used my heat tool to heat set it here and there so the colors wouldn't bleed together too much. 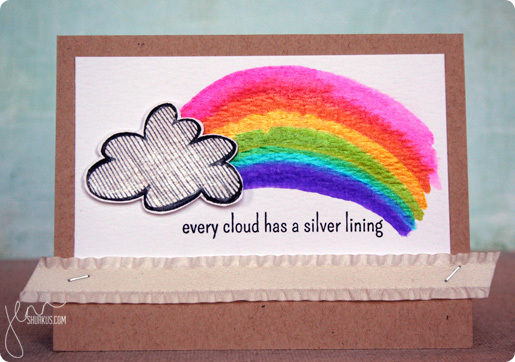 Once I had my rainbow the way I liked it, I erased my pencil lines and used some foam tape to pop the cloud up off the card. I stamped the sentiment and attached the layer to a kraft notecard. I didn't want any other colors to distract from how pretty my rainbow turned out. Then using a tiny attacher I adhered some ribbon. Thank you for joining me today. I do hope you will visit me over at shurkus.com and I look forward to sharing some more inspiration with you throughout the month! Yay for Jenn! Love your rainbow fun filled card! Such a pretty card! Love! Love your card!!! So so cute!! Everything you make is so wonderful! Your so talented!!!!! Super cute! Love that adorable cloud! yay! Glad to see Jenn here. Love how bright and bold the rainbow is! Such a cute card! LOVE the vibrant rainbow! Great card! Love the rainbow...can't wait to see what else Jenn makes this month! Yay yay yay for you Jenn!!! Love this card! That rainbow is awesome! And the cloud stamp set is just to die for!!! Can't wait to see you all month here! thank you so much samantha :) I have some fun ideas brewing! !